100 Followers. My Sincere Thanks to You All. This blog was started by me less than an year ago after being recommended by a friend. The beginning was quite difficult as I had no idea how to promote it. Some time later, I started getting followers after which it was a smooth journey. Blogging has been an important part of my life and it helped me in ways I can’t even explain. I’ll just keep it short and thank you all who made this journey even more beautiful. I found this a month ago and I couldn’t see as I was on this camp to Rishikesh. I apologize for being inactive for so long. Also, please forgive me if I have mistakenly forgotten to reply to your comments. Aadrika @ A Tepid Wary and Keep A Readin’; my very first followers and an amazing friends. Mandy @ YA and Wine; she was the one to nominate me for the first award I received as a blogger. 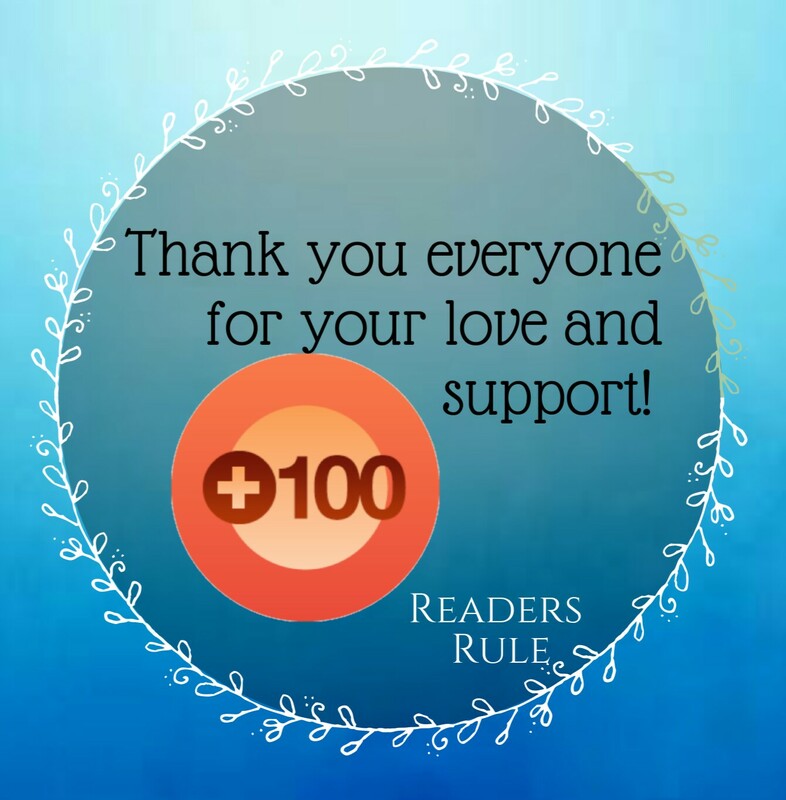 Teacher of YA, Book Princess Reviews, Book Slayer Reads, Icebreaker694, Spotlight on Stories, For the Lover of Books; being my generous supporters and reading my posts. Aj @ The Ravenous Reader; an amazing person and a great friend I made through blogging. She is the best and the sweetest! Blame Chocolate; tagging me for amazing book tags that helped me meet more followers. All of you guys who are reading this have been amazing. Thanks for your love and support. Congratulations!!! 🎉🎉🎉 You deserve it, I hope more followers come your way! And thank you for the honorable mention! YAYAYAYAYAY! So much congrats! I’m so happy for you, and I can’t wait to see what else you have planned on your blogging journey! ❤ Wonderful post, and thanks so much for including me. ❤ Congrats again!! I'm glad you enjoyed the tags and that I helped you meet more followers, that's awesome 🙂 I'm positive more will come soon! Welcome to my blog! I am Aditi Yadav, from the world of bookish people. I love to read and blog.